The inspiring, powerful, true story of Dietrich Bonhoeffer, the German theologian who defied the Nazis and ultimately led an assassination attempt against Hitler. 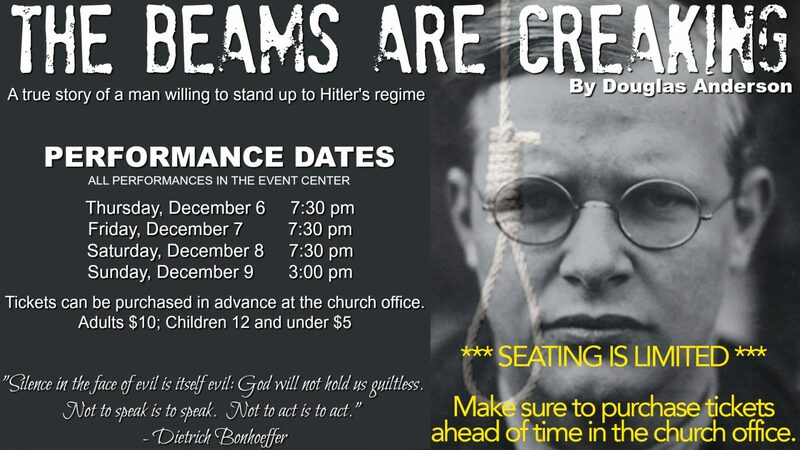 This compelling drama captures the Bonhoeffer legend on a rich theatrical canvas without ever sacrificing the very human story at the base of it. Part political thriller, part love story, leavened with moments of humor, filled with a compassion that reaffirms one’s faith in man. A masterpiece for the producer of serious theatre by a playwright who, on the basis of this play, was commissioned by the Actors’ Theatre of Louisville to develop a script for their internationally acclaimed theatre festival. All performances will be in the Event Center.